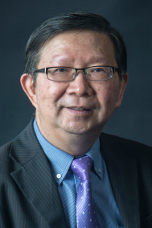 Prior to joining the academic staff at the School of Law of the University of New England, Dr Varayudej practised several years as a barrister in private legal practice and acting for the Council of State of Thailand. He was a visiting fellow at the Golden Gate University School of Law, San Francisco, USA, from August to October 2005 and at the Australian National Centre for Ocean Resources and Security, Faculty of Law, University of Wollongong, from October to December 2005. He was also a visiting professor at the Thammasat University Faculty of Law, Bangkok, Thailand, from December 2014 to May 2015. Same Varayudej and Jürgen Brohmer, (eds), Comparative Constitutionalism: Eighty Years of Constitutional Reform and Democratic Developments in Thailand (P Press Ltd, Bangkok, 2014) ISBN: 978-616-361-271-1. ‘Two-Pronged Right to Development and Climate Change: Reciprocal Implications’, in Ottavio Quirico and Mouloud Boumghar (eds), Climate Change and Human Rights: an International and Comparative Law Perspective (Routledge, 2016) 118-132. ‘The Quest for Constitutionalism, the Rule of Law and Democracy in Thailand, in Same Varayudej and Jürgen Brohmer, (eds), 2014, Comparative Constitutionalism: Eighty Years of Constitutional Reform and Democratic Developments in Thailand (P Press Ltd, Bangkok, 2014) 1-46. The Rule of Law and Amnesties in Thailand: A Comparative Study’ in Same Varayudej and Jürgen Brohmer, (eds), 2014, Comparative Constitutionalism: Eighty Years of Constitutional Reform and Democratic Developments in Thailand (P Press Ltd, Bangkok, 2014) 133-151. ‘Constitution-Making and Consensus Building Process for True National Reconciliation In Thailand’ (in Thai) in Same Varayudej and Jürgen Brohmer, (eds), 2014, Comparative Constitutionalism: Eighty Years of Constitutional Reform and Democratic Developments in Thailand (P Press Ltd, Bangkok, 2014) 153-165. 'Thailand's Legal System and Business Law', in Alice E-S Tay (ed), East Asia — Nation-building, Human Rights and Trade, (Nomos, Baden-Baden, Germany 1999) 538–598. 'A Right to Democracy in International Law: Its Implications for Asia', (2006) 12 Annual Survey of International & Comparative Law 1-17. 'Global Challenges to Fisheries Trade: A Case of Thailand', published in the Proceedings of the 3rd Asian Law Institute Conference, on 25–26 May 2006, Shanghai, China, vol 1, 88–97. 'Impact of Globalisation on Global Poverty: The Roles of the IMF, the World Bank and the WTO' (2006) 35 (1) Thammasat Law Journal 163–88. 'Company Directors' Duties under the Good Corporate Governance Systems and Lessons from the Pin Chakkaphak Case', 32 (2002) Thammasat Law Journal 54–67. 'WTO: Its Impact on Developing Countries', 9 (1997) Sukhothai Thammathirat Law Journal 89–95. 'The Dispute Settlement System within UNCLOS', 95 (1997) Maritime Studies 19–26. ‘Challenges and Prospects for Constitutionalism, the Rule of Law and Democracy in Comparative Perspectives’, presented at ‘The International Conference on Constitutionalism, the Rule of Law and Democratic Governance – Challenges and Prospects in Comparative Perspectives’, held at the Faculty of Law, Thammasat University on 1-2 April 2015. ‘Judicial Review of Constitutional Amendments: Who will Guard the Guardians?’, presented at the Symposium on ‘The Thai Constitutional Court: Is it above or under the Constitution’, held at the Faculty of Law, Chiang Mai University on 12 December 2013. ‘The Rule of Law, Constitutionalism and Judicialization of Politics: Legitimacy of the Judicial Review of the Legislative Process’, presented the Conference on The Role of the Constitutional Court in the Legislative Process, hosted by the School of Law, Sukhothai Thammathirat Open Universities, Thailand, on 21 June 2013. ‘Rule of Law, Democracy and Development in a Sustainable Asia: A Comparative Perspective’, published in the Proceedings of the 8th Asian Law Institute Conference: Law in a Sustainable Asia, held at the Faculty of Law, Kyushu University, Kyushu, Japan on 26-27 May 2011. ‘The Constitutional Court of Thailand: Its role in Protecting the Rule of Law and Democracy’, published in the Proceedings of the 6th Asian Law Institute Conference: Dynamics of Change in Asia, held at the Faculty of Law, University of Hong Kong, from 29 and 30 May 2009. Constitutionalism and the Rule of Law in Thailand’, published in the Proceedings of the 5th Asian Law Institute Conference held at the Faculty of Law, National University of Singapore, Singapore, 22-23 May 2008. 'An International Regime for the Conservation and Management of Deep Seabed Genetic Resources beyond National Jurisdiction', presented at the Centre for Maritime Policy, Faculty of Law, University of Wollongong, 14 February 2006. 'Is there a Right to Democracy in International Law? ', presented at the International Law Society, School of Law, Golden Gate University, San Francisco, USA, on 29 September 2005. A Right to Democracy in International Law: Its Implications for Asia, presented at the 2nd Asian Law Institute Conference, Faculty of Law, Chulalongkorn University, Bangkok, Thailand, on 26–27 May 2005. 'Corporate Governance and Coporate Responsibilities under the Australian Corporate Law', presented at the School of Law, Sukhothai Thammathirat Open University, Nonthaburi, Thailand, on 10 February 2004. 'Globalisation and Global Poverty: Is there an Obligation to Help the Third World Countries', (Paper presented at the Faculty of Economics, University of Chiang Mai, Thailand, on 4 February 2004). 'Australian Corporations Law as a Model for Thailand's Corporate Law Reform', (Paper presented at the Ministry of Commerce of Thailand, Bangkok, on 9 January 2002). 'Duties of Directors under Good Corporate Governance Systems' (Paper presented at the Faculty of Law, Thammasat University, Bangkok, Thailand, on 20 December 2001). 'The Principles of Good Corporate Governance: A Comparative Perspective' (Paper presented at the Registration Office, the Ministry of Commerce of Thailand on 6th December 2001). 'Directors' Duties and the New Statutory Business Judgment Rule in Australia' (Paper presented at the Faculty of Law, Thammasat University, Bangkok, Thailand, on 13 September 2001). 'Corporate Governance and Duties of Company Directors: The Comparative Approaches of Australian and Thai Laws' (Paper presented at the seminar held by the School of Law, Sukhothai Thammathirat Open University, Bangkok, on 15th December 1999). 'The New Statutory Business Judgemnt Rule: Its Impact on the Standard of the Duty of Care of Company Directors', (Paper presented at the School of Law at Northern Territory University, 12 November 1998). 'The Dispute Settlement System within UNCLOS and the Role of NGOs in Resolving Maritime Disputes' (Paper presented to the International Conference onNavigation Rights and Freedoms — Contemporary Challenges and Tensions, hosted by Centre for Maritime Policy and Australian Centre for Environmental Law, University of Wollongong, 3–4 April 1997).